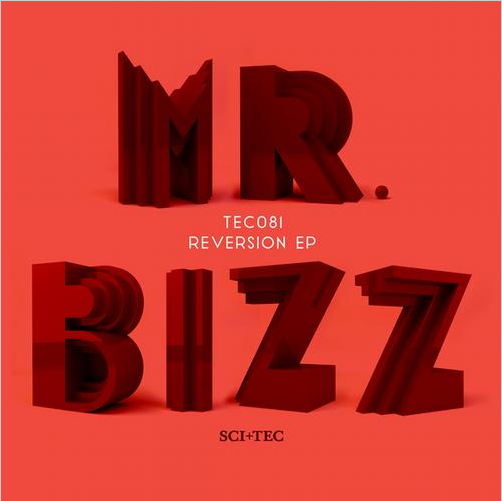 Another killer release from SCI+TEC and this time Mr Bizz are at the helm to deliver a huge slice of peak time techno with this track Memory Lost. Brothers Fabrizio and Matteo Floris aka Mr. Bizz have established themselves as certified bomb makers amongst many of the techno elite. They have gathered support from Richie Hawtin, Sian and Dubfire to name a few and its not hard to see why when you listen to their dark and twisted take on techno. They have created a unique and trademark sound that has found a home with many of the most respected labels including Octopus, Suara and now they arrive on SCI+TEC for their debut release on the label. Memory Lost is the third track on the Reversion E.P that was released this week. We received the promo a couple of weeks ago and whilst all three tracks are solid it is this track that really stood out for us and will be a regular in our sets for a while to come! The track is laced with a constant atmosphere that sits above the dark and chunky drums creating an air of tension throughout. It really gets going when the dark percussive synth stabs enter the fray to take the track into an even darker and more hypnotic territory.